Adobe partners with the leading agencies, consultancies and technology providers across Asia Pacific to provide best-in-class solutions that enable businesses and brands to drive innovative, data-driven, personalised customer experiences at scale. The APAC Adobe Partner Awards acknowledge and celebrate partner success, innovative work and dedication to customer success using Adobe technologies. 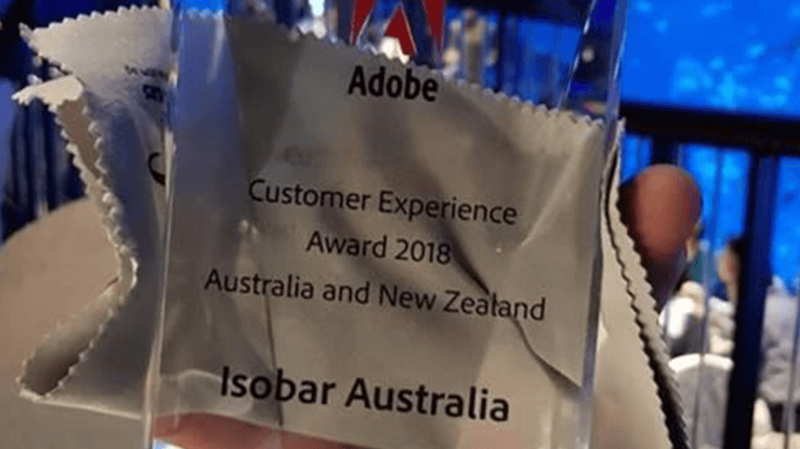 In the 2018 Adobe Innovation Award category, Isobar Australia picked up the Customer Experience Award, recognising the team’s innovative and successful use of Adobe technology. Isobar Australia have implemented Adobe solutions across a number of verticals. In 2017, the team transformed the web experience of Dulux Group’s thirty brands through a re-platform project, integrating Adobe Experience Manager, Adobe Analytics and Adobe Campaign with existing internal and legacy system. This resulted in increased efficiencies for Dulux, whilst offering customers the best experience, the best tools, inspiration and advice to complete their renovation projects. To find out more about how we work with Adobe, and other key partners, visit our Partnerships page.